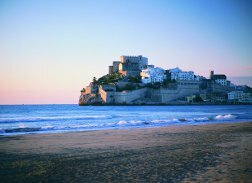 This Mediterranean region offers the chance to enjoy its coast, its gastronomy and its fiestas all year round. But there are plenty of other reasons that it’s increasingly being chosen as a venue for a whole range of world-class events. The Region of Valencia combines modernity and tradition. Its capital Valencia is an outstanding example, with its spectacular City of Arts and Sciences complex which stands side-by-side with a historic centre which dates from the Middle Ages, and is the ideal place to explore on foot. Visitors will find a host of highly attractive destinations including Alicante, Castellón, Benidorm, Elche, Benicarló, Peñiscola, Oropesa del Mar, Morella, Sagunto, Gandía and Cullera. Some of these are home to places which have been awarded the World Heritage designation, such as the Palmeral de Elche palm grove or the various archaeological sites, and many have marine resorts where you can enjoy the seaside, or explore charming fishing villages by the sea. And don't miss the chance to enjoy a delicious paella during your stay. But if there’s one thing this region is famous for, it must be its fiestas. Make a note in your diary of some of the best: the Fallas (bonfire night) in Valencia, the festival of the bonfires of San Juan, the Tomatina tomato festival in Buñol and the Moors and Christians festival in Villajoyosa and Alcoy.